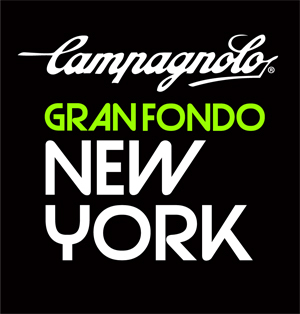 NEW YORK CITY, March 18, 2015 – The inaugural OAKLEY GFNY BARCELONA will be held on March 22, 2015 in Barcelona, Spain. A sold out field of 1,000 riders from over 25 countries tackles the challenging course that starts at Placa d’Espanya in the heart of the city. It finishes close to the start at famous Montjuic, the site of the 1992 Olympic Games and finish of the Tour of the Basque Country professional race. Oakley GFNY Barcelona is poised to become one of the most important granfondos in the world already from its inaugural edition. Barcelona’s influence in commerce, sports, entertainment, media, fashion, and the arts all contribute to its status as one of the world’s major global cities. It is internationally renowned as a tourist destination, with numerous recreational areas, one of the best beaches in the world, mild and warm climate, historical monuments, including eight UNESCO World Heritage Sites, many quality hotels, and a developed tourist infrastructure. It’s already spring in Barcelona with perfect temperatures to ride on hills, through scenic towns like Vilafranca, Sitges and Castelldefels and along the Mediterranean Sea. Oakley GFNY Barcelona provides two distance options: a 100mi / 160km long route with 9,500ft / 2,900m of climbing and a medium route of 68mi / 110km with 6,500ft / 2,000m of climbing.